If your child loved the Terrific Twos class, they will surely love taking Creative Movement. This class is designed for our beginner dancers who have either taken the Terrific Twos class the year before, or are new to the Charlotte Klein Dance Centers and are three years of age. 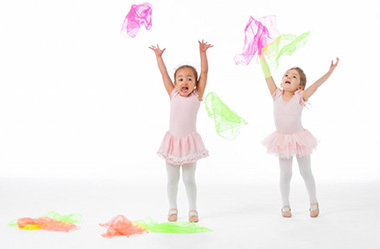 Creative Movement is a basic introduction to dance, similar to our Terrific Twos program. This class further helps to develop coordination, strengthen motor skills and develop social skills as your child learns to take instruction from someone other than a parent or guardian. In this class, your child will learn more about the beginning stages of musicality, including rhythm and counting, as they creatively explore movement to music. Your child will learn the art and love of dance in this class as our instructors cultivate their passion for rhythmic movement. This class will also perform in our annual recital, so that your child may experience the fun and energy of being in a real-life performance.